How the ex-Louisiana Governor channeled his political and personal demons into a rabble-rousing presidential campaign. You could be forgiven for having missed it, but Roemer has been running for president. A Harvard-educated four-term congressman, one-term governor, and successful banker, he campaigned for more than a year. In a field light on Southern Republicans (Newt Gingrich was born in Pennsylvania and Rick Perry, well…), he once might have looked like a contender. But not in the eyes of Republican tastemakers. Roemer was not invited to a single one of the 20 primary debates, a fact he repeats with unmitigated animosity. Which is why, after 20-plus years as a Republican convert (he started his career as a Democrat), he quit the party in February. It’s almost as if Roemer was proving that you can’t make headway running for president with a $100 contribution limit by…not making headway running for president with a $100 contribution limit. He raised more than $367,000 in small donations; in his last financial disclosures his campaign had $114,495 in the bank, and he told me he “lent” it $20,000 of his own money. According to Federal Election Commission data, he also gave his campaign another $25,100. Roemer had hoped to be on the 2012 presidential ballot in all 50 states. Getting there has been anything but easy. He was 4,000 votes shy of securing the nomination of Americans Elect (which is now in disarray after its failed attempt to recruit a third-party candidate). Roemer was also seeking the Reform Party nomination. Roemer says he’s always fought the corrupting influence of money. As a congressman in the 1980s, Roemer claims, he never took PAC money. “Tip O’Neill used to laugh at me, ‘You can’t win, Buddy.’ I won every time.” Actually, according to FEC records, he took $8,600 from 19 PACs in 1980 and $49,200 from 112 PACs in 1982. He recently tweeted that he never took an earmark, yet he was happy to tout federal funds for an airport and parking garage in Shreveport in the early ’80s. “Often wrong, but never in doubt,” is how Louisiana blogger and pundit C.B. Forgotston describes Roemer (quoting former Speaker of the House O’Neill’s characterization of Roemer). Louisianans practice the art of the euphemism—”That’s just Buddy being Buddy,” you’ll hear—but there’s a general consensus: Buddy is smart. Very smart. And Buddy is stubborn. Very stubborn. He’s brilliant and then without reasoning, immovably obstinate. It’s not just the donation cap. When he ran for governor he didn’t allow his campaign to use lawn signs. Why? Well, that’s just Buddy being Buddy. 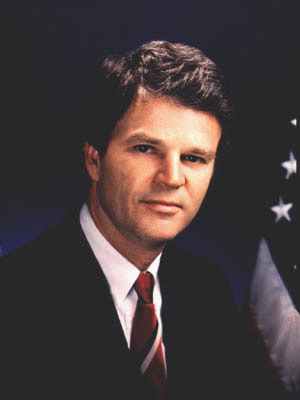 Roemer won his first election for Congress as a Democrat in 1980, the same era when the South was turning solidly Republican. But Roemer’s tenure took an unpredictable turn when, in the middle of his first term, his father, Charles, was convicted in a federal sting known as BriLab, as in bribery plus labor. Charles Roemer had served as commissioner of administration for Governor Edwin Edwards (who once said of bribes, “It was illegal for them to give, but not for me to receive”). Charles Roemer had arguably the most powerful position in the state, holding responsibility for millions of dollars in contracts. Charles, then in his 60s, ended up going to prison for 17 months, though his conviction was later overturned. For his next three terms Roemer ran for Congress unopposed while Edwards was indicted for mail fraud, obstruction of justice, and bribery. (Full disclosure: I am Edwards’ second cousin, through marriage.) In 1987, Roemer entered a crowded gubernatorial field as a relatively obscure Congressman. He dubbed his campaign the Roemer Revolution, his devotees Roemeristas. The press dug it. He was asked in a debate if he’d endorse then-incumbent Edwards in a general election. “No, we’ve got to slay the dragon,” he said. “I would endorse anyone but Edwards.” Roemer went from last place to first in the polls in a matter of weeks. Every major newspaper endorsed the congressman from Caddo Parish. “Slay the dragon!” became his battle cry. This experience of being catapulted into office has stuck with Roemer. It’s why he was optimistic about getting to a 15 percent showing in the polls, so he’d get an invitation to the debates in the fall. (He hit three percent in New Hampshire and South Carolina in January. His website cites a poll that shows him at seven percent nationally.) “The race is wide open,” he tells me. Naive? Yes, but stranger things have happened and they’ve happened to Buddy Roemer. Back in ’87, due to Louisiana’s “jungle primary” process, in which the top two vote getters advance to the general election regardless of their party, both Roemer and Edwards ended up competing for the governorship as Democrats. Edwards ceded, and Roemer in effect won the highest office in the state with just 33 percent of the vote. Roemer’s governorship was by all accounts (even his own) a storied catastrophe in a state with a high tolerance for disasters. His agenda was dead on arrival. He failed to reach out to his “coalition of reformers” after he was elected. He became the first governor in modern Louisiana history to have his own party override his veto. His wife divorced him. He sat alone in the governor’s mansion night after night, watching old movies. And then he switched parties and became a Republican. Roemer had a pivotal moment in the months after Hurricane Katrina, one that hints that his run is less vanity project and more sincere rabble-rousing. While bodies were still floating down the street, the Wall Street Journal reported, a meeting of white business owners and old-line families plotting to keep New Orleans’ poor, black residents from returning. They saw the tragedy as an opportunity to remake the city. Roemer came out against this idea. “I’ve heard conversations [among] those who would leave the poor out,” he told the AP. But, he added, “New Orleans goodness and decency” would win out. He bucked his party and his class and stood up for the disenfranchised. Roemer watchers think this was the seed of his current incarnation as an anticorporate populist. But his keystone issue remains money in politics. And it’s perhaps ironic, perhaps logical, that he appealed mostly to Democrats. There were no invitations to appear on Hannity, but Roemer has been on Rachel Maddow’s show more than once. NPR interviewed him. He came out in support of Occupy Wall Street. Some 45 percent of his donations, he told me, were from self-declared Democrats, 35 percent are from Republicans, and 20 percent are from independents. He had the standard laundry list of what he’d do as president: Create a team across party lines to rebuild America, et cetera. But his goals soon started to sound more personal, like the things he admittedly didn’t do as governor: “Listen first. I will give credit to others.” It’s almost as if he’s seeking atonement. Usually when candidates talk of reform, they don’t mean themselves. Roemer, it seems, did. “I’ll make different mistakes as president,” he pledges. And I’ll bet you $100 he’d be right. 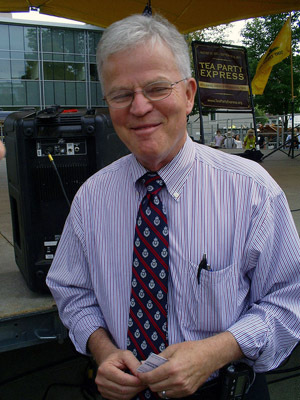 Who is GOP Presidential Candidate Buddy Roemer?